Want to let others know why you’ve invested in IRIS Connect? Due to popular demand, we’ve put together some recommended text and images for you to download below and use on your school’s website. 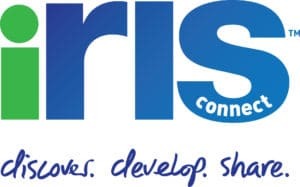 The text informs others about your work with IRIS Connect, how our system works and how we ensure outstanding security through our strict procedures around data protection, privacy and safety. Right-click and save these logos and images to your computer in order to use on your website. Or, if you would like us to send you the files via email, please get in touch using the marketing email address above.